Art from ‘Understanding Comics: The Invisible Art’ by Scott McCloud. Gobbledygeek episode 363, “Four-Color Flashback: Understanding Comics,” is available for listening or download right here and on iTunes here. For Four-Color Flashback 2019, Paul and Arlo are venturing beyond the realm of superheroes and into the wide world of comics many Americans never visit. To first appreciate comics, though, it’s important to understand their capabilities. 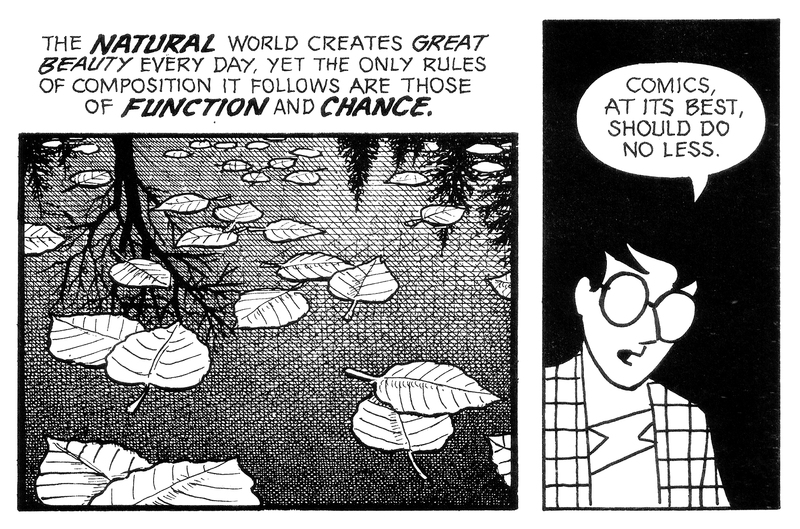 There’s nowhere better to turn than Scott McCloud’s seminal 1993 tome Understanding Comics: The Invisible Art. It’s an academic, analytical study of the comics form–but it’s also a friendly, entertaining, flat-out fun read. Paul and Arlo discuss why everyone should read Understanding Comics, how it influenced the way they read comics, the concept of closure, and the digital revolution. Next: witchcraft, murder, and all that jazz in a musical Geek Challenge. Arlo must watch Disney’s 1971 Angela Lansbury vehicle Bedknobs and Broomsticks, while Paul is tasked with 2002’s Renee Zellweger showcase Chicago. This entry was posted in Shameless Self-Promotion and tagged art, books, comic books, comics, four-color flashback, gobbledygeek, graphic novels, itunes, libsyn, literature, non-fiction, podcast, scott mccloud, understanding comics, understanding comics the invisible art. Bookmark the permalink.